The difference between a stain with the paste just removed and a stain a day older, about 24 hours difference. 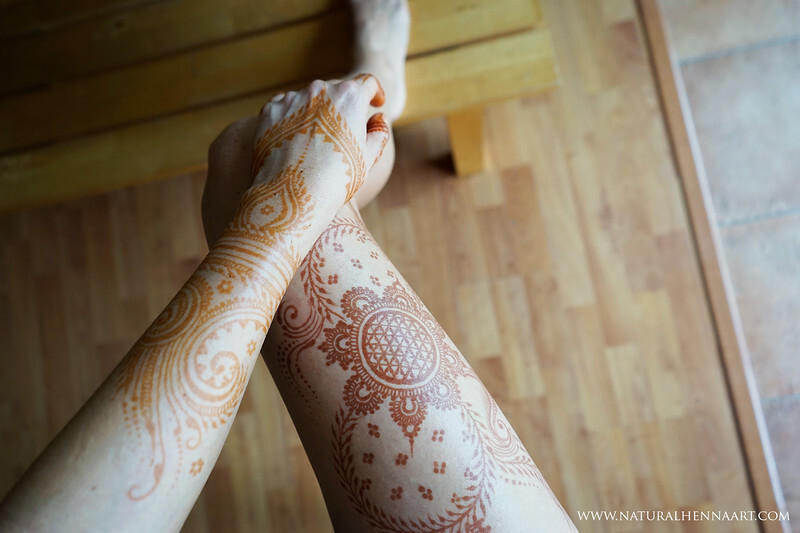 Henna needs time to oxidize and darken, thus its standard to do a design about 2-3 days BEFORE a special event. A new, fresh design is light yellow/ orange in color. An older stain is a medium to dark brown, depending on where the design is placed on the body.